Flatfooted runners know, the Brooks Adrenaline GTS 18 Women's Running Shoe gives them the support they need to feel better on every run, with enough cushion and comfort to make every step feel great. Inside the BioMoGo DNA midsole is a Progressive Diagonal Roll Bar (PDRB) that maintains some of your foot's natural flexibility without giving up the support and pronation control you need. The all-new upper uses engineered mesh to give it an updated look, but more importantly, it also keeps weight down while improving ventilation. "Thank you for your inquiry. 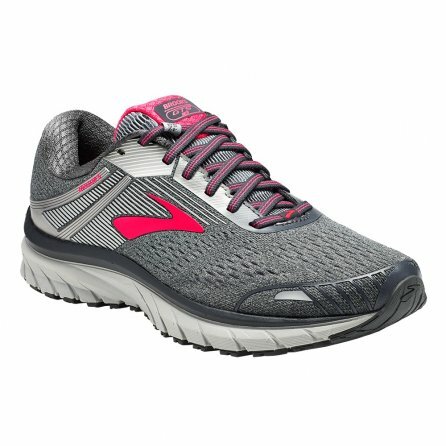 According to Brooks sizing information they recommend that you order your Brooks running shoes 1/2 size to one size larger than normal dress shoes. For men's footwear, "D'" is the default width when no width is otherwise specified. For women's footwear, "B" is the default width. We hope this information helps! "